Start off your visit on the 14th (Sat): get a taste of the local shopping with Ermou Street, kick back and relax at Vouliagmeni Beach, and then enjoy the sand and surf at Glyfada Beach. 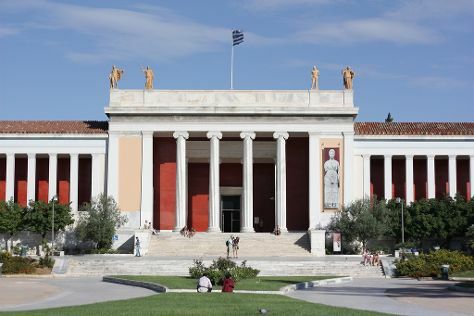 On the next day, explore the world behind art at National Archaeological Museum, then stop by Amazing Chocolate, then steep yourself in history at Acropolis of Athens, and finally get engrossed in the history at Acropolis Museum. For more things to do, where to stay, photos, and other tourist information, read our Athens vacation planner. New York City, USA to Athens is an approximately 13.5-hour combination of bus and flight. You can also fly; or do a combination of train and flight. Due to the time zone difference, you'll lose 7 hours traveling from New York City to Athens. In September, daily temperatures in Athens can reach 84°F, while at night they dip to 69°F. Finish your sightseeing early on the 16th (Mon) so you can travel to Fira. 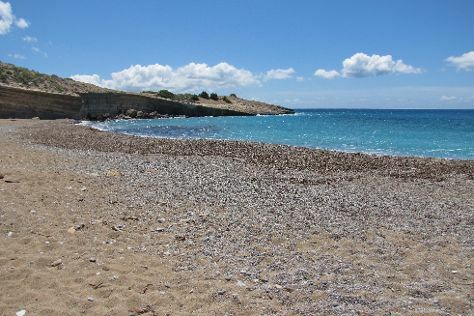 On the 16th (Mon), examine the collection at Wine Museum Koutsogiannopoulos, then tour the pleasant surroundings at KAMARA BEACH, then explore the ancient world of Akrotiri, and finally kick back and relax at Red Beach. On your second day here, shop like a local with Ernesto Workshop & Gallery, pause for some serene contemplation at Cathedral of Saint John the Baptist, examine the collection at Monastery of Profitis Ilias, then see the interesting displays at Cultural Village, then learn about winemaking at Venetsanos Winery, and finally enjoy the sand and surf at Vlichada Beach. To find traveler tips, reviews, other places to visit, and more tourist information, you can read our Fira attractions planner. Fly from Athens to Fira in 3.5 hours. Alternatively, you can do a combination of taxi and ferry; or do a combination of flight, taxi, and ferry. Expect a daytime high around 82°F in September, and nighttime lows around 70°F. Finish up your sightseeing early on the 18th (Wed) so you can travel to Rhodes Town. For shopping fun, head to Kallithea Springs or Art Park Rhodes. Get some historical perspective at Ancient Kamiros and Street of the Knights. Explore Rhodes Town's surroundings by going to Eleousa (Campochiaro & Agios Nikolaos Fountoukli), The Church of the Panagia (in Lindos) and Stegna Beach (in Stegna). The adventure continues: steep yourself in history at Mandraki Harbour, take an in-depth tour of Kahal Kadosh Shalom Synagogue, see the sky in a new way at Astronomy Cafe, and get to know the fascinating history of Medieval City. To find photos, other places to visit, ratings, and other tourist information, refer to the Rhodes Town sightseeing planner. Traveling by flight from Fira to Rhodes Town takes 5.5 hours. Alternatively, you can do a combination of ferry, bus, and flight; or ride a ferry. September in Rhodes Town sees daily highs of 83°F and lows of 73°F at night. Finish your sightseeing early on the 22nd (Sun) to allow enough time to travel to Monolithos. Monolithos Castle and Archanggelos Michail Thari Monastery are good opportunities to explore the local culture. Discover out-of-the-way places like Fourni Beach and Profiti Elias Monastery. Get out of town with these interesting Monolithos side-trips: Lardos (Folklore Museum of Lardos Village & Lardons Go-karts), Church of Saint Phanourios (in Gennadi) and Marias House (in Embonas). For reviews, photos, more things to do, and more tourist information, read our Monolithos trip planner. Getting from Rhodes Town to Monolithos by car takes about 2 hours. In September in Monolithos, expect temperatures between 83°F during the day and 73°F at night. You'll have a few hours on the 25th (Wed) to wrap things up before traveling home.